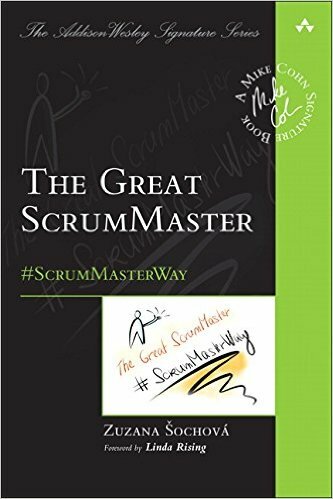 The Great ScrumMaster is written as a “guidebook for all ScrumMasters, Agile coaches and leaders who want to transform their organizations. It’s intended to give you a reference to general concepts every ScrumMaster should understand and point you toward resources that may help you in resolving difficult situations.” This is achieved in a well-structured book that proposes a step by step approach to understand this role. The content mixes harmoniously theory, use cases, exercises, hints boxes and sketches. It is based on a multi-level model that should help to improve the growth of an Agile organization. My preferred chapter is the one about Building teams that offers an interesting description of tribal leadership. I will naturally recommend this book to every Agile ScrumMaster or coach, but also to every person that has some people responsibility in a software development context, even if you use more classical project management approaches. The ScrumMaster is one of the most undervalued roles in Scrum and Agile. Most teams that are just starting out don’t see the value of having a full-time ScrumMaster, and they try to combine this position with that of a developer or tester so that the ScrumMaster is “working.” It’s one of the most common misunderstandings of the ScrumMaster’s role, and the majority of novice groups struggle with it. So, what is the goal of the ScrumMaster? The ScrumMaster seeks to build a self-organized team and enforce self-organization as a key company principle at every level. One aspect of creating a successful self-organized team is the ability to use decentralization techniques. As opposed to the centrally controlled hierarchy of the traditional process-oriented structures, modern organizations exploit the advantages of various decentralization techniques to involve the team in creating processes, enhancing their ownership, and supporting creativity. Never forget that the great ScrumMaster is, in the first place, a leader. And as a good leader, she must be self-driven and able to make other people around her successful. Make them flourish. Let them shine. The great ScrumMaster is a cultural anthropologist. She must be curious about others and have respect for their habits and the way they work. She must be playful and courageous. Great Article ! I would also like to add thay the Chief Scrum Master is responsible for this activity. Coordination across various Scrum Teams working on a project is typically done through the Scrum of Scrums (SoS) Meeting. This is analogous to the Daily Standup Meeting and is facilitated by the Chief Scrum Master.